Marcus resides in central Ohio with his loving wife and 4 children. Born in Akron, OH in 1970, and adopted as a newborn by parents who were raised Amish, but later switched to the Mennonite lifestyle. My Sunday mornings, Sunday evenings and Wednesday evenings consisted of going to church. I attended a church school along with my 2 siblings. Little has held me back even though I have an 8th grade education. I have lived a simple life without television and other 'Worldly Pleasures'. But my family always had a roof over their heads, clothes to wear (some were home-sewn), and food on the table. My parents taught us honest hard work ethics and how to live off the land. My father owned a trucking company hauling grain, feed, fertilizer, bark/mulch, sawdust and various other commodities. This paved the way for me to learn about the trucking industry as a young child. We also had a small farm which consisted of farming crops, and livestock. I kept my life busy between farm work and wrenching on equipment. I worked with a custom harvesting company and moved to CA for the summer, and then relocated to Tx. and Ks. for the fall harvest. After this, I moved back home to OH. That's when my father asked me to take one of his trucks and pick up a trailer at a customer and bring it back to the yard...this is where my driving career started. The feeling I had driving a semi, even though it was only a 10 mile trip, was very exciting and gave me pride beyond comprehension! I then earned my chauffeurs license prior to being grandfathered into the CDL. I drove truck for the family business until my father sold it. I then bought my first truck and trailer (COE Peterbilt and a Timpte Hopper) at age 24. 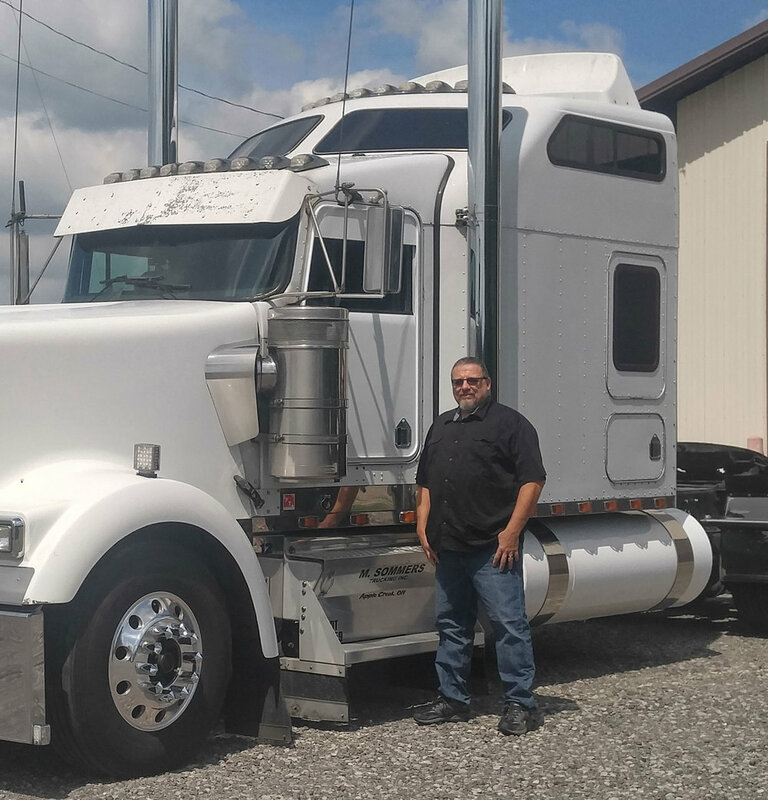 Over the years I bought several trucks and trailers, and eventually started a trucking company, which I currently own and operate. I have pulled nearly every type of trailer including livestock, reefer, flatbed, tanker, specialized, hopper, van and end dump trailers. I have a passion for the trucking industry, and I am committed to its future and safety in every respect. I will give it my best to represent this industry, and bring back the feeling of pride and respect, to truck drivers who are the backbone of this great USA. Over the years I have watched this industry crumble into a 'money over safety' industry, pushing unsafe and unrealistic rules and regulations on the Motor Carriers and it's employees. Drivers are rushed through a short training period, with little to no accountability nor respect to safety measures. No matter how bad of a hand you've been dealt in life, the world owes you nothing.